Horeke was initially called Deptford after the Royal Navy shipyard in England and was one of the first places to be settled by Europeans in New Zealand, with shipbuilding established in the late 1820s. 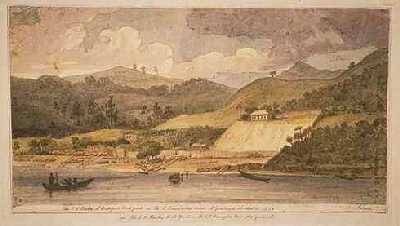 The Wesleyan missionary John Hobbs opened a mission at Mangungu, about a mile from the shipyard, in 1828. 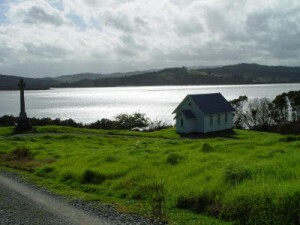 Horeke is on the Northland coast to coast cycle track or twin coast cycle trail from Opua to Horeke connecting the Bay of Islands to the Hokianga Harbour. It has become the start cycling towards Okaihau or the end cycling from Opua via Kawakawa, Moerewa and Kaikohe. Between Horeke and State Highway 1 at Rangiahua are some of the finest tidal marshes in New Zealand. Hundreds of wildfowl and endangered swamp birds thrive in these vast aquatic 'wastelands'. 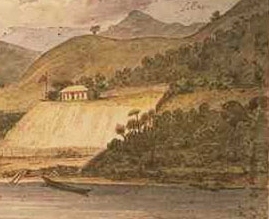 David Ramsay and Gordon Davies Browne came from Sydney to set up a trading post and shipbuilding settlement about 1826. Three ships were built - a 40-ton schooner called Enterprise, a 140-ton brigantine called New Zealander, and the 394 (or 392)-ton barque Sir George Murray - but the firm went bankrupt in 1830. New Zealand's first murder trial took place at the nearby Methodist Mission. In 1838 a Maori ferry man murdered a pakeha passenger in an argument over a fare. The man, a mere slave, was tried at Mangungu with the assent of Maori chiefs, and was executed and buried on the low mangrove island opposite Horeke. This was New Zealand's first murder trial. Yet the court had no legal jurisdiction at all. Both, Maori and pakeha put increasing pressure on Britain to formally claim New Zealand, so British law could apply. By 1825, the Hokianga Harbour had its first white settler. Jack Marmon, known as Cannibal Jack, was the son of a Sydney stonemason. He jumped ship, married a Maori woman and settled near Horeke, across the river at Marmon's Point. There was no white man nearer than the missionaries at Kerikeri. A man of slight build, aggressive manner and quick mind, he lived as a Maori joining in their intertribal fights. He was popularly believed to have 'joined the Maoris in their cannibal feasts'. 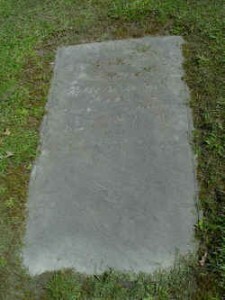 He died in 1880 and was buried at Marmon's point after a drunken Irish wake. 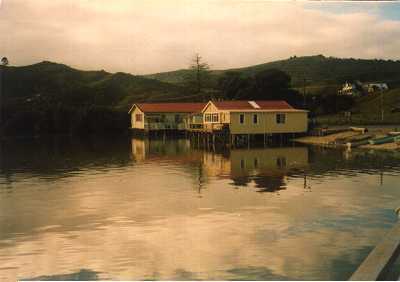 The old buildings of Horeke were mostly built over water, because at the time there was no land for sale, available for development. The Horeke Hotel is the first Pub ever built in New Zealand. It might not have had a liquor license, but it served the many ship builders working in the first commercial shipbuilding yard in New Zealand, which was situated right beside the Hokianga shore. Horeke has the oldest Post Office in New Zealand. In the early days it was located in the Horeke Hotel. Later it got its own building (picture above). This building has been moved from its original location across the road beside the old Blundell Store and is now used as a resource centre. Horeke's historic gem .... nestled on the slopes of Horeke, overlooking the picturesque Hokianga Harbour stands one of New Zealand’s best kept historic secrets. The Mangungu Mission House is one of Northland's oldest buildings. Completed in 1839, it replaced the original house that had previously burned to the ground. The mission itself had been established earlier by the Rev William White under the Patronage of the Maori Chief "Patuone", a Nga Pui leader. Credit to the elegant Georgian building must go to Rev John Hobbs, a missionary who had been apprenticed to his father - a carpenter joiner and agricultural implement maker in England. These skills came to the fore when Hobbs was charged with the task of designing the mission house and overseeing its construction. Hobbs was clearly a man of many talents. As well as his practical skills, he also acted as governor Hobson's translator at the second signing of the Treaty of Waitangi, which took place at Mangungu Mission on February 12, 1840. Visitors to Mangungu can still see the original table on which the Treaty was signed with a copy of the Treaty on it, and walk through the historic cemetery near the building. Hobbs' workmanship has stood the test of time - and a number of other challenges too. By 1856 the Maori population in the area had declined and Hobbs moved to Auckland with his family, taking the house with him, leaving the mission station unmanned. The house itself was taken to pieces and shipped to Onehunga where it served as a parsonage. In 1972 however, the historic house was returned to Mangungu where it is maintained today by the Historic Places Trust. Mangungu is certainly off the beaten track but it is well worth a visit, it is one of the most important sites for Maori and one of the most beautiful historic sites in New Zealand. Next to the Mangungu Mission House stands the little chapel looking over the shore of the tranquil and picturesque harbour. The original church, which could take 800 people, was demolished in the late 1800 to build mill workers' cottages in Kohukohu. The present chapel is the disused Methodist church from Kohukohu which was shifted across the water to Mangungu and re-sited nearby the mission house. The story of Horeke shipyard - Deptford as it was sometimes called - is one of shipwreck and seizure, bankruptcy and death. Yet so far as actual shipbuilding was concerned the enterprise was a notable though short-lived success. Promoters of the venture were prominent Sydney merchants, Thomas Raine and Gordon D. Browne: David Ramsay, Raine's partner in other undertakings, seems also to have had an interest. Superintendent of the yard was Captain David Clark. A small piece of land on the foreshore at Horeke was bought from Muriwai, chief of the Popoto tribe, in November 1826. In October 1827 the first vessel from the shipyard, the 40-ton schooner Enterprise, reached Sydney under Clark's command. Returning to Hokianga after a second voyage under another skipper, the Enterprise foundered in a storm north of Hokianga heads on 4 May 1828 with the loss of all hands. The Enterprise was not the first European vessel launched in New Zealand. Over 30 years earlier, in January 1796, a small vessel called Providence sailed from Dusky Sound where she had been built - begun in 1792-93 by a sealing gang and completed by another party whose own vessel had been wrecked at Dusky in 1795; and in January 1826 the 55-ton schooner Herald was launched at the Paihia mission station in the Bay of Islands, only to be wrecked at Hokianga heads, but without loss of life, two days after the Enterprise disaster. The next vessel laid down at Horeke was the brigantine New Zealander, 140 tons, which may be seen on the stocks in the above sketch, redrawn from Augustus Earle's watercolour of Horeke in March or April 1828. The New Zealander arrived in Sydney on her maiden voyage in December 1828. In March 1829, on her second voyage, Clark made the Tasman crossing in six days which earned for the brigantine the reputation of the fastest sailer out of Port Jackson. The largest of the Horeke built vessels was the barque Sir George Murray (named after the Secretary of State for the Colonies). Arriving in Sydney on 18 November 1830 she was immediately seized by customs officers for sailing without a register. New Zealand not being a British possession, the New South Wales Government had refused a register to the New Zealander (although one had earlier been issued to the Enterprise and possibly also to the Herald), the question being referred to the British Government and the vessel meanwhile being permitted, at her owners' risk, to sail between New Zealand and New South Wales. After the seizure of the Sir George Murray the matter was again referred to Britain. By this time however Raine, Browne, and Ramsay were all bankrupt, their failure having followed Raine's inability, because of the severe drought in New South Wales, to fulfill his government contracts for the supply of bread and milk. At an auction in Sydney in January 1831 the Sir George Murray, together with the Horeke establishment where she had been built, was sold for £1,300 to Thomas McDonnell, an East India Company commander and formerly a lieutenant in the Royal Navy. Risking the want of a register, McDonnell fitted out the barque, and on 30 March 1831, with his family, servants, and a number of settlers, sailed for Hokianga. A "register" supposedly issued to him later that year by the Hokianga chiefs Patuone and Te Taonui stated that the vessel was "three hundred and ninety two 64/94 Tons English measurement", with two decks and three masts, 109 ft in length and 28 ft 8 in. in breadth, barque rigged, with a standing bowsprit, square sterned, carvel built, no galleries, and a scroll figurehead. Although the New Zealander had apparently already changed hands, she remained under Clark's command until 10 April 1831 when, after an eightday crossing and with the usual cargo of sawn timber, pork, and potatoes, Clark for the last time sailed her into Port Jackson. The brigantine, of which he had once said he would much rather part with life than see her destroyed, then went into the whaling trade, and Clark returned to Hokianga where he was drowned six months later at the age of 65. His infant son grew up to become Hori Karaka (George Clark) Tawhiti, member of the House of Representatives for Northern Maori. In January 1833 the New Zealander in her turn was seized in Sydney for sailing without a register. Her owner entered into sureties for double the value of vessel and cargo and once again the question of registers for New Zealand built vessels was referred to the British Government. Apart from a Pacific cruise later that year, the New Zealander remained in the Sydney - New Zealand run until wrecked on the Mahia peninsula on 7 August 1836. Meanwhile the Sir George Murray was rumoured to be sailing under a foreign flag. In 1833 she obtained an East India Company clearance at Macao, and this was endorsed in 1836. Her subsequent fate is unknown. Several small craft may have been built at Horeke during McDonnell's reign, but the name of only one has survived, the 35-ton schooner Tui. During his stormy 12 months (1835-36) as honorary Additional British Resident, McDonnell sailed in the Tui to Kaipara, a voyage which he claimed opened that harbour to European shipping. 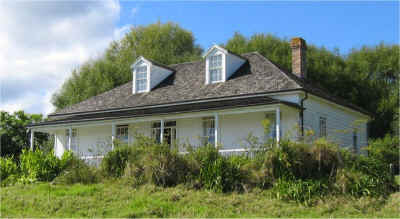 McDonnell was primarily a timber trader, and throughout the 1830s Te Horeke - to give it its correct name - was the principal trading establishment on the Hokianga, until the house on the hill, originally built for Clark, then occupied by Gordon Browne and afterwards McDonnell's home for over 10 years, was burnt down in 1842. This plate can be found in Horeke at the entry to the parking of the Horeke Lodge. It mentions the superintendent David Clark, who's head stone is in the graveyard of the Mangungu Mission House. McDonnell was a keen horticulturist and among his other introductions to New Zealand was the Norfolk Island pine, the well known trees at Waitangi and Te Wahapu in the Bay of Islands being the sole survivors of a box of seedlings given by him to Mrs Mair in 1836 or 1837. The large pine in front of the Horeke hall was probably planted about the same time, in what was then McDonnell's garden. 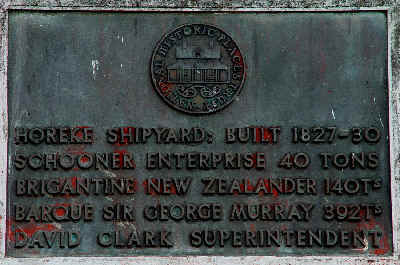 The shipyard plaque stands as nearly as can be determined on the site where the Sir George Murray was built, the Enterprise and the New Zealander having been laid down a short distance upstream. 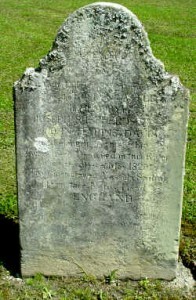 In the old Wesleyan mission cemetery at Mangungu, about a mile down harbour, the tombstone of the first superintendent David Clark, may be seen lying flat on the grass. The quotation from Lamentations I:12 is still appropriate: Is it nothing to you, all ye that pass by? There are many ancient tombstones in the old Wesleyan mission cemetery. Two crew member of the ship "Roselyn Castle" drowned in the Harbour on the 30/05/1829. In the olden days, sailors often were not able to swim. Many of the head stones are talking about drownings, often due to consumption of alcohol. The locals still use that graveyard to bury their dead. In 1830, Lieutenant McDonnell took over the Horeke shipyard and set up his empire there. He was the leading settler on the Hokianga Harbour. His large house and garden were fortress-like, protected by cannon. While in England he managed to get himself appointed Additional British Resident to New Zealand, a position that greatly enhanced his muscle on the Hokianga Harbour before he was sacked.